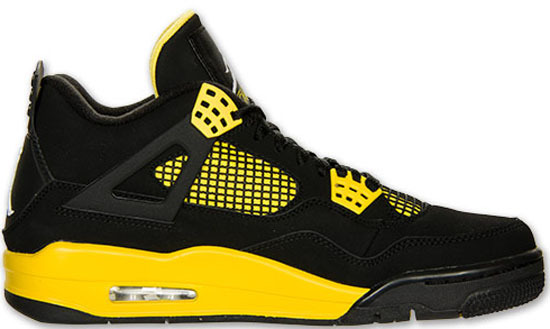 Along with the Air Jordan 3 Retro '88, this Air Jordan 4 Retro will also be getting the re-stock treatment. We have seen a few re-stocks here in 2013. 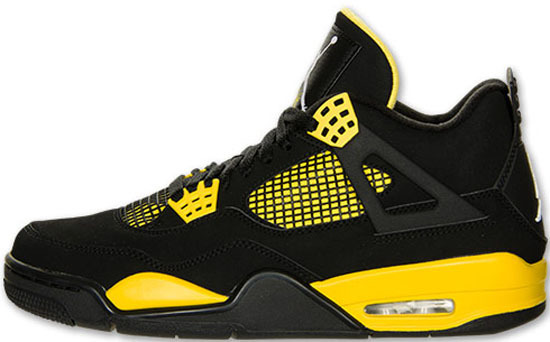 Now, you can add another late 2012 release to that list as this Air Jordan 4 Retro is set for a re-stock. 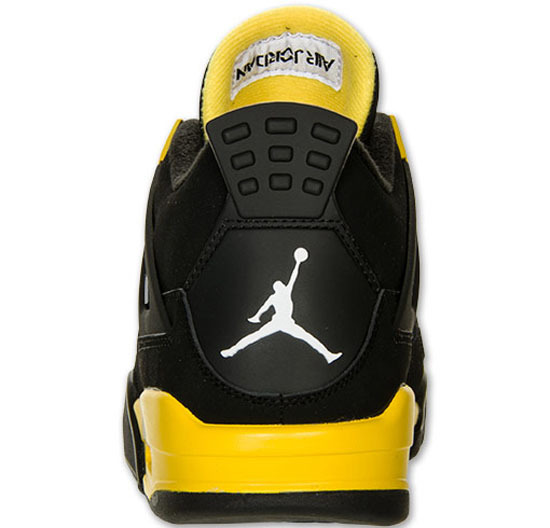 Known as the "Thunder" edition, they were originally a limited "LS" (lifestyle) online exclusive release in 2006. 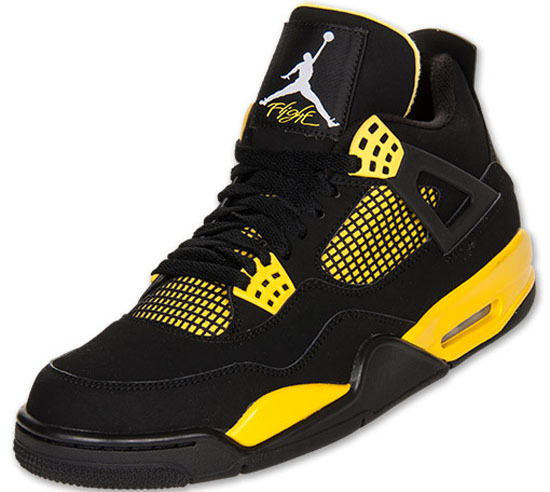 Re-retroed once again as a limited release in December of 2012 except they were available in stores for the first time. If you missed out on these and are still looking for a pair, you will have a second chance. Set to re-stock exclusively on FinishLine.com on Saturday, May 25th, 2013. Retail is set at $160 for men's sizes which will come in the OG style Air Jordan IV box along with an orange "Jumpman" hang tag. They will also be available in gradeschool sizes retailing for, $115. 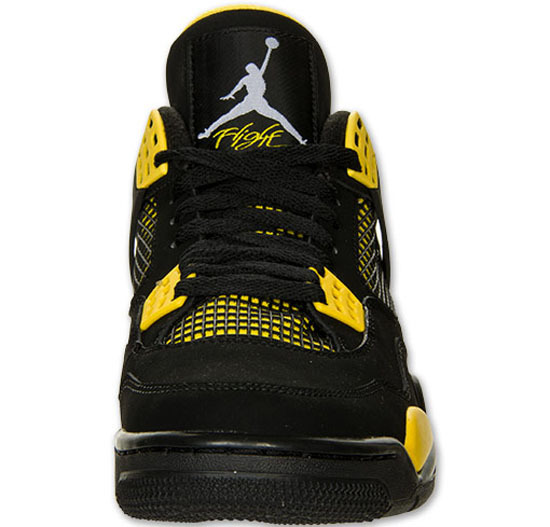 Enjoy the official images of the "Thunder" Air Jordan 4 Retro in black, white and tour yellow below. If you're interested in picking these up when they re-stock, be sure to check out FinishLine.com on release day. Those of you looking for a pair now can, click here to buy them on eBay.